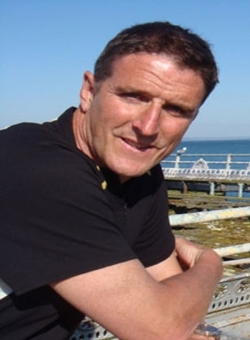 Television presenter, Iolo Williams, grew up in in Llanwddyn near Lake Vyrnwy. At the beginning of 1985, Iolo got a job with the RSPB and spent the next 14 years working for the organisation. During this time, he became a regular on the media - on TV, radio and in newspapers - making a name for himself as a leading expert on Welsh birdlife. His big TV break came in 1997 when BBC Wales approached him to work on a new series called 'Visions of Snowdonia' which followed the lives of six people living and working on the slopes of the country's highest mountain. He was offered a second series - this time, Iolo was 'Birdman' and it's a name that has stuck. Shortly afterwards, in 1999, Iolo decided to leave the RSPB and pursue a full-time career in the media. He has since filmed several more series with BBC Wales, including 'Wild Wales', 'Wild Winter', 'Iolo's Special Reserves', 'Iolo's Natural History of Wales' and 'Iolo's Welsh Safari'. Iolo has also presented programmes for S4C. In July 2003, the presenter walked 270 miles from North to South Wales in 11 days to raise money for two children's hospices, Ty Hafan and Ty Gobaith. Iolo still lives in Powys - near the town of Newtown, not far from where he grew up. He is married and has two sons.